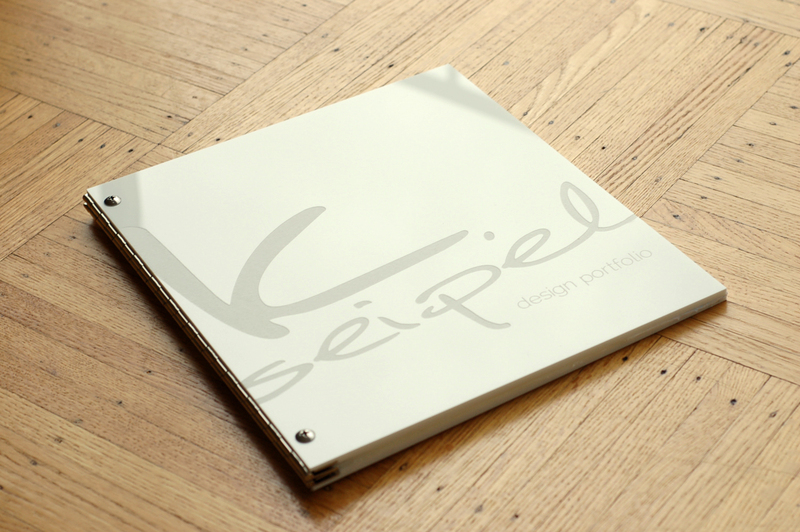 Here’s an 11″ x 8.5″ personalized white acrylic screwpost portfolio book with an over-sized logo engraving. I love the look of an engraving that bleeds to the edges. This works especially well on the acrylic portfolios. What do you think? All Klo Portfolios are made to order because we love the planet and don’t beleive in manufacturing en masse. Your portfolio is completely custom and created with your vision in mind. 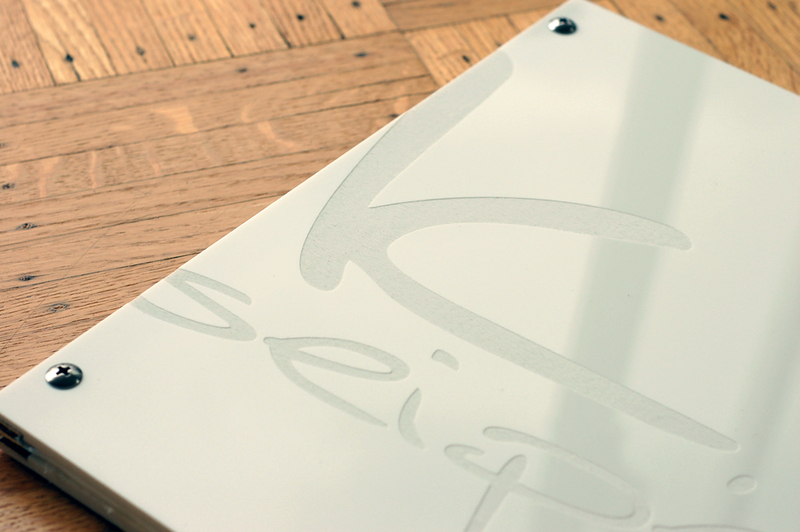 Each and every single custom portfolio book is handcrafted and assembled with lots of love. If you’re looking for a unique portfolio solution then look no further friend! Feel free to peruse through the Klo Portfolios Flickr page for some ideas and inspiration or visit our website for more info. Looking forward to seeing your ideas!